In the early days, there are plenty of chances for mum to bond with her newborn through skin-to-skin contact, especially if they are breastfeeding. Bath time is a great opportunity for dad to feel part of this memorable time by spending some precious moments bonding too. 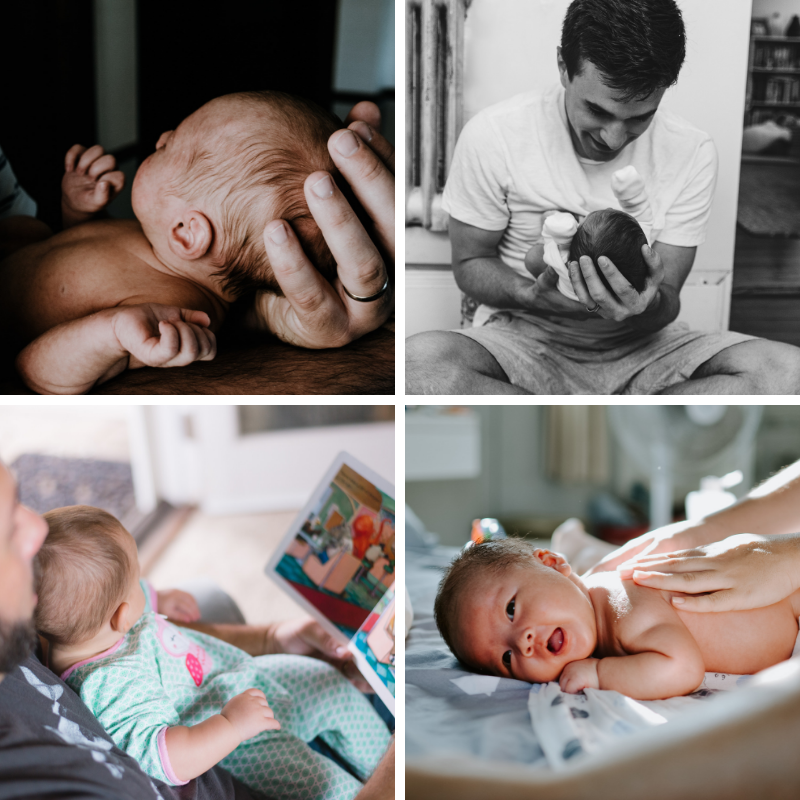 Skin-on-skin contact with your baby can help you bond – like the first time your newborn is placed on your chest – so washing your little one is the perfect time to make a connection. Studies have also found that babies with involved fathers are more likely to be happier at day care and in school. Here are our top tips for how to nail your bath time routine. Look Baby in the eye. As strange as it may sound, simply taking the time to gaze at your sweet little baby will help strengthen your emotional bond. We also encourage smiling, gentle talking and perhaps singing while in the bath. Antything you can do to make your baby feel comportable is a plus. Interact with your baby naturally and simply enjoy the quality time you get to spend together during bathtime. It mights feel out of the ordinary at first, but soon you will loosen up and have a blast! Bath time is the very first physical activity you and your baby can do together. Starting the bond at bathtime is the perfect precurser to a life of playing games, activites and travelling together. Once your little one is dry and warm after their bath, a good way to extend this bonding time is to try baby massage using a special organic cream or baby oil. Lovingly stroking your baby is an amazing way to bond – it can help you feel closer to each other, and there are lots of other benefits too. Find a local baby massage class to learn the proper techniques – it’s also a great way to meet other new parents in your area. Have we missed anything? Tell us your favourite bath time rituals in the comments below.